The cross-value chain Alliance to End Plastic Waste, currently made up of nearly thirty-member companies located throughout the world, has committed over $1.0 billion with the goal of investing $1.5 billion over the next five years to help end plastic waste in the environment. 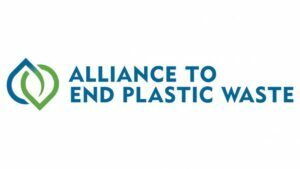 The Alliance will develop and bring to scale solutions that will minimize and manage plastic waste and promote solutions for used plastics by helping to enable a circular economy. Supporting Renew Oceans to aid localized investment and engagement. The program is designed to capture plastic waste before it reaches the ocean from the ten major rivers shown to carry most of the land-based waste to the ocean. The initial work will support the Renew Ganga project, which has also received support from the National Geographic Society. Research shows that nearly 80 percent of the plastic in oceans begins as litter on land, most which travels to the sea down one of ten major rivers around the world – eight in Asia, two in Africa. Separate research shows that 60 percent of ocean plastics can be sourced to five countries in Southeast Asia.